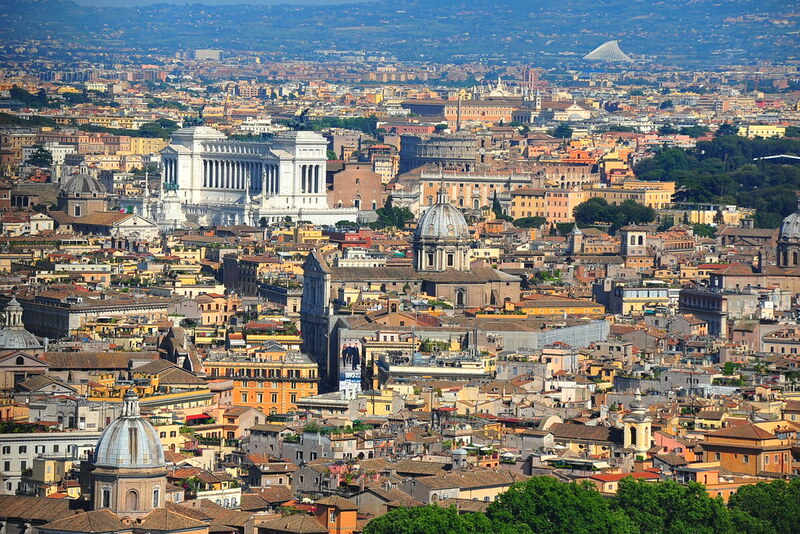 « « When In Rome…Do As New Yorkers Do? 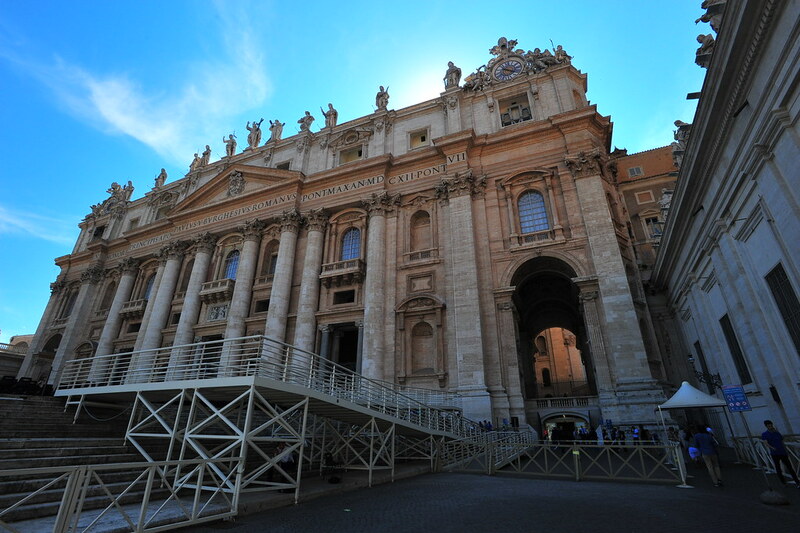 Holy See Batman! 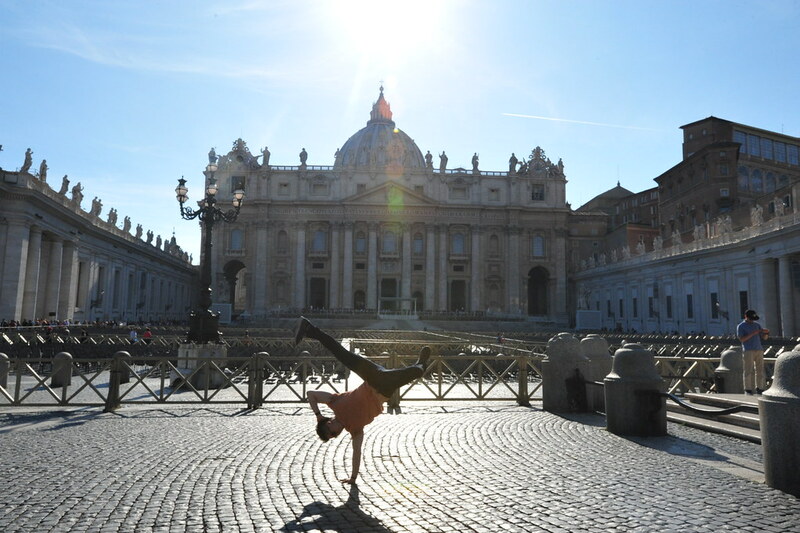 It’s Vatican City! 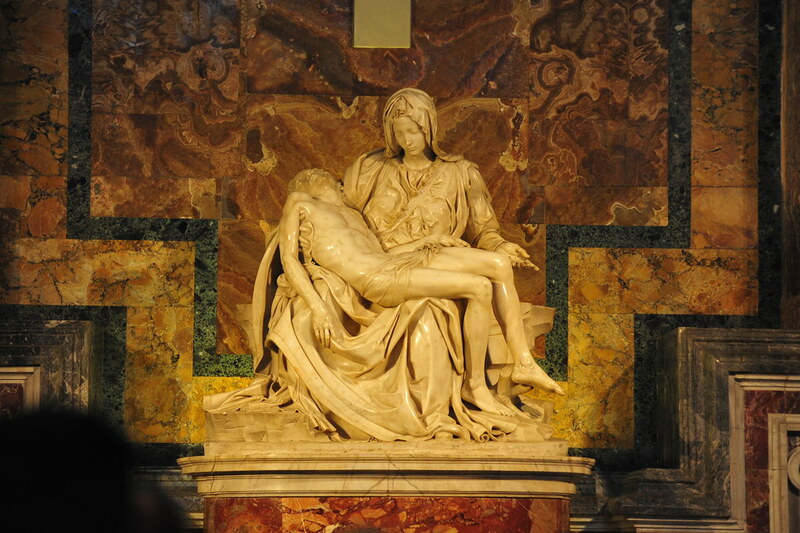 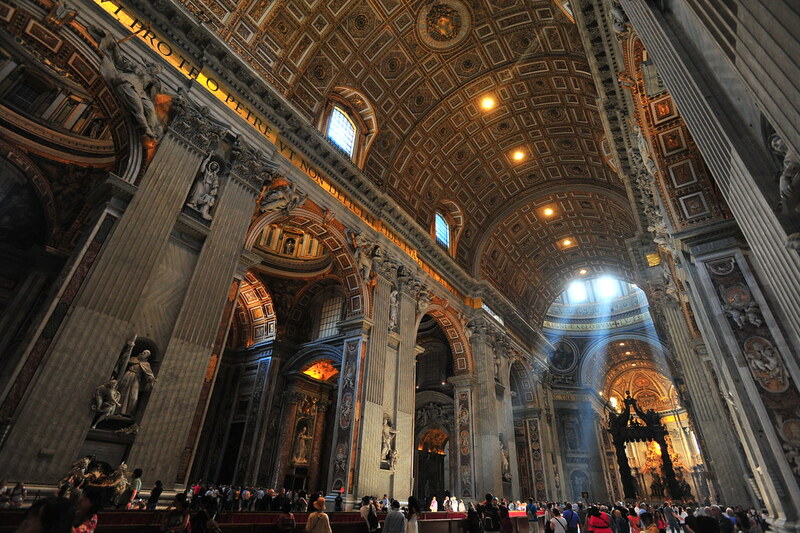 After a whole day (or 2) in Rome, I suggest that you start early the next morning to explore Vatican City. 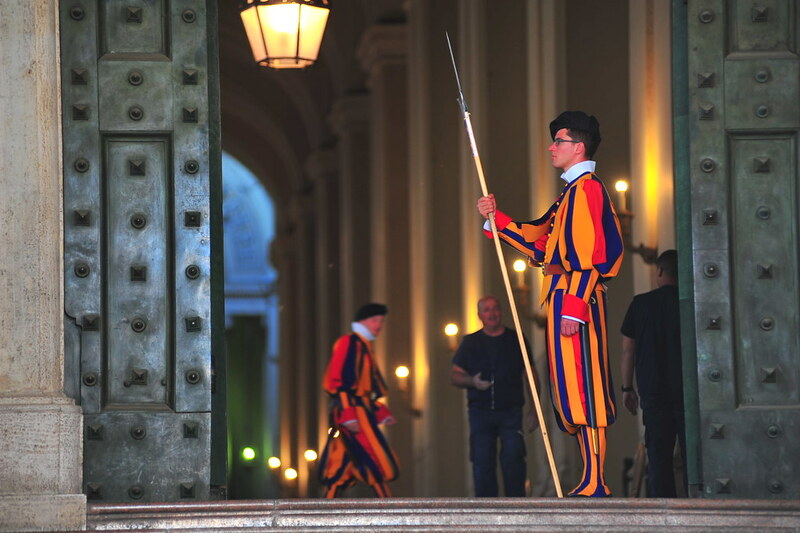 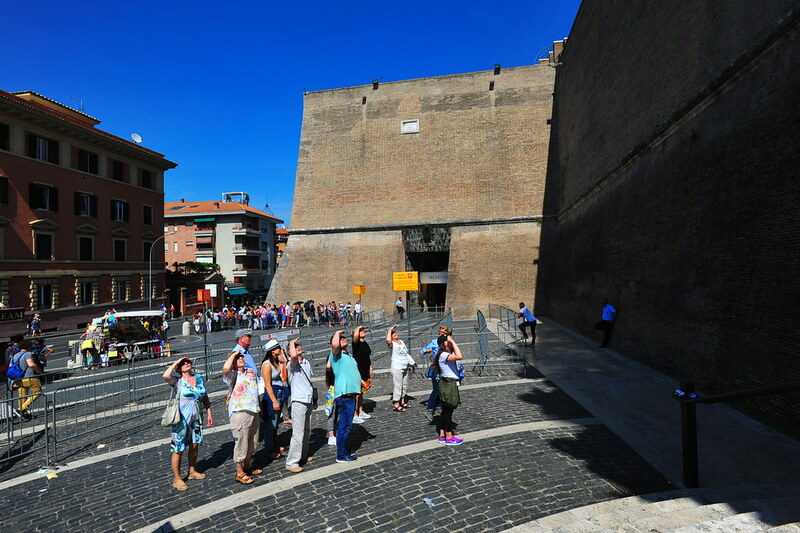 Even though it’s the world’s smallest state, the number of people waiting in countless lines to get inside can outnumber the number of the Vatican City’s 800 citizens by a factor of 10 to 1. 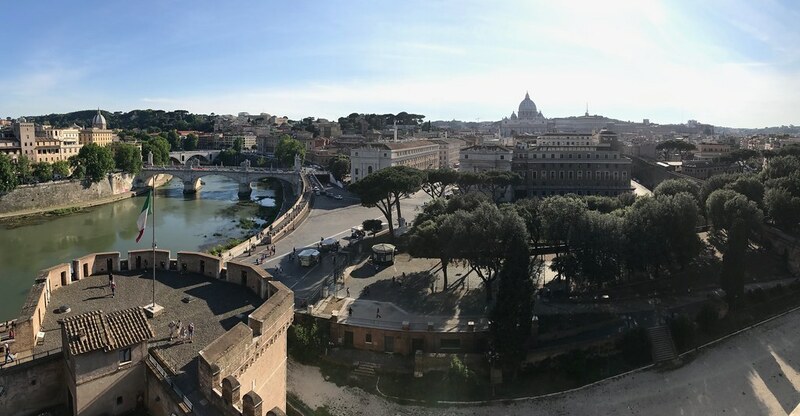 If you’re staying on the east side of Rome, take the metro A line to Ottaviano, from where you can walk a few blocks southwest to the north side of the Vatican City Walls along Viale Vaticano. 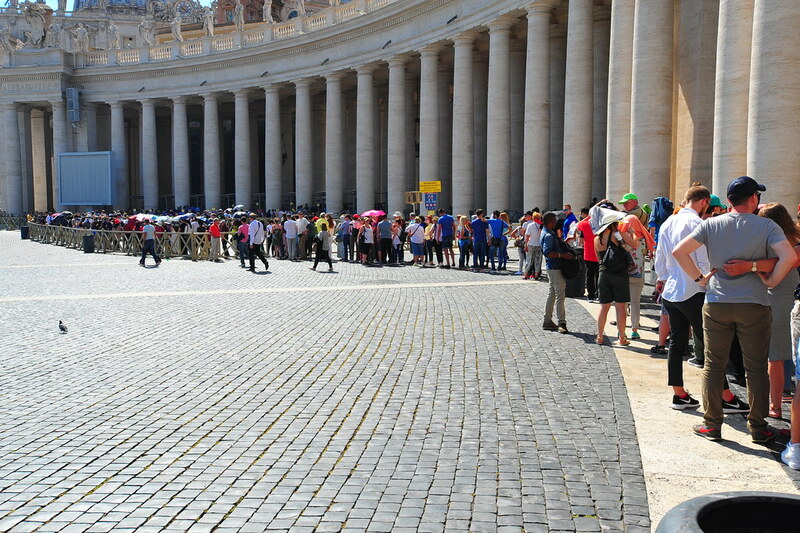 If you arrive early enough in the morning on a mid-weekday or on the Wednesdays when the Pope is giving mass, you can head straight to the ticket offices around the corner and purchase your 16 euro entry into the Vatican Museums (they are closed only on obvious religious holidays and Sundays, except the last Sunday of the month). 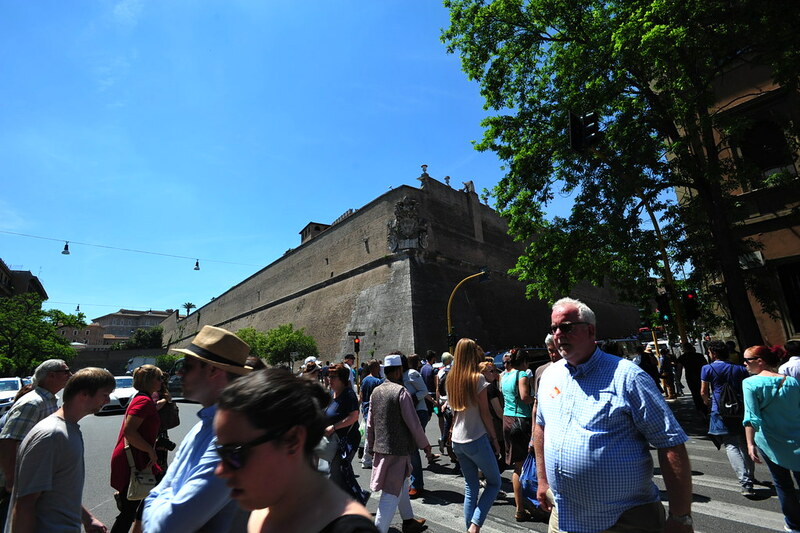 However, most do not get there early and end up waiting over an hour and a half in line along this very street to get inside. 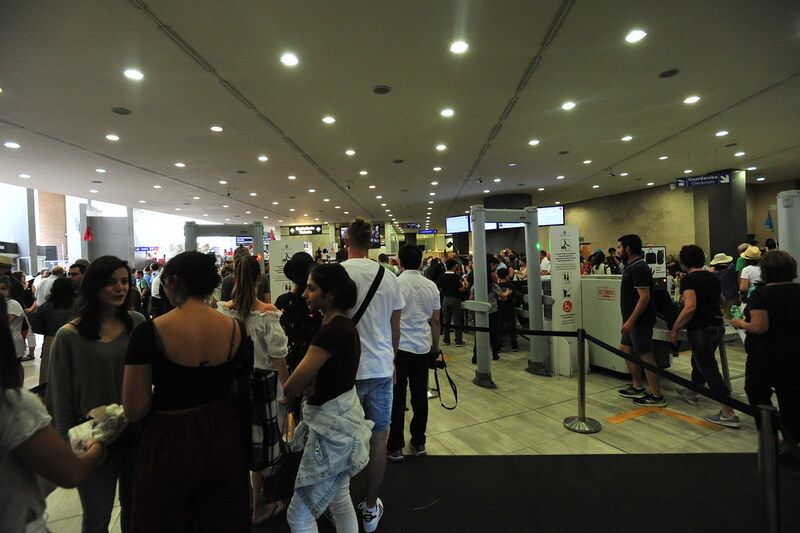 The only other way to skip this line is to purchase tickets online for an extra 4 euros, but these “skip-the-line” tickets usually sell out a few days before. 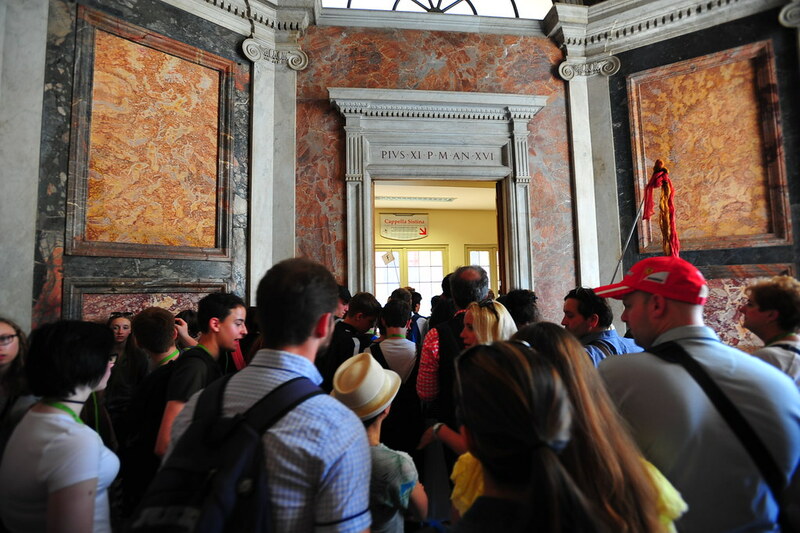 Your Roma Pass will be useless here, unless you want to buy the more expensive 90+ euro Omnia Pass. 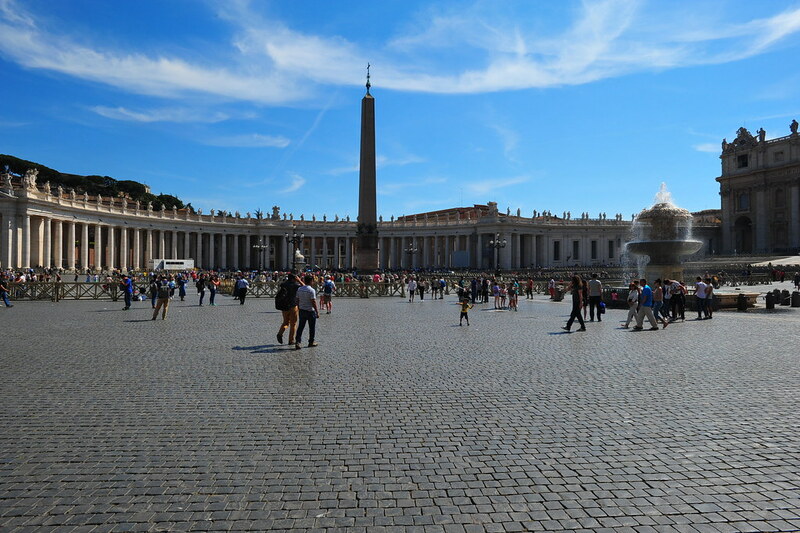 When you’re leaving the Vatican Museums, you end up back out on the streets of Rome as if the Holy See just unceremoniously kicked you out of their country. 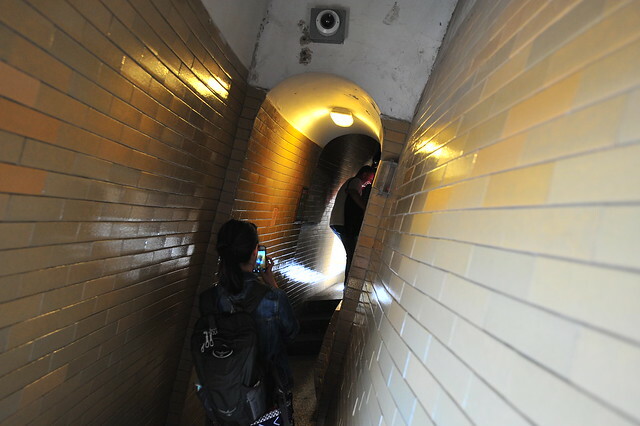 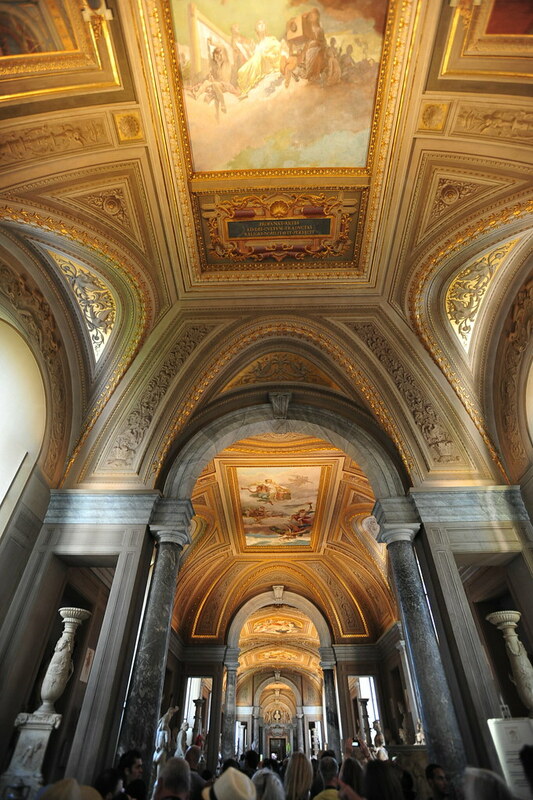 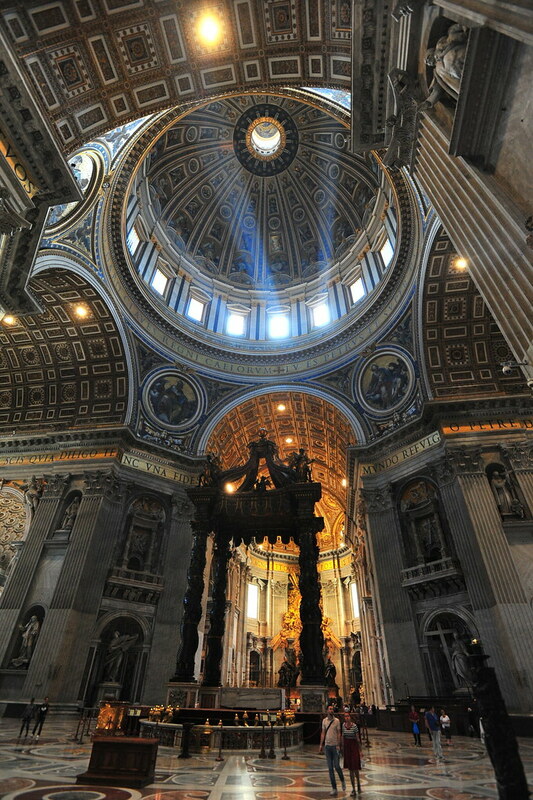 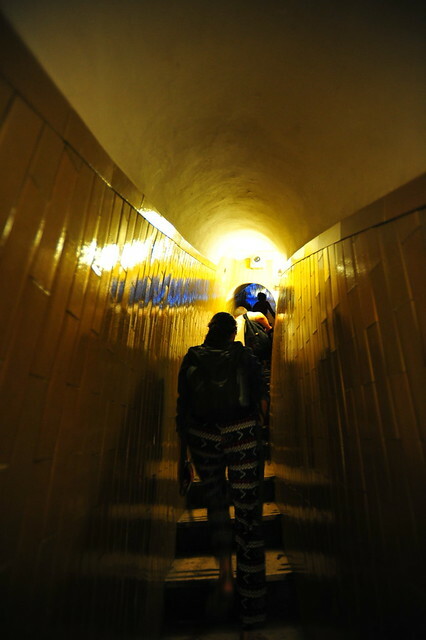 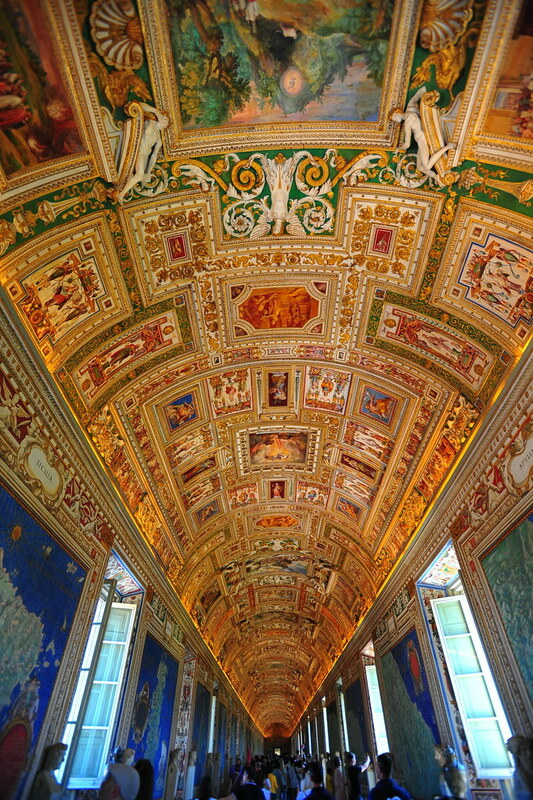 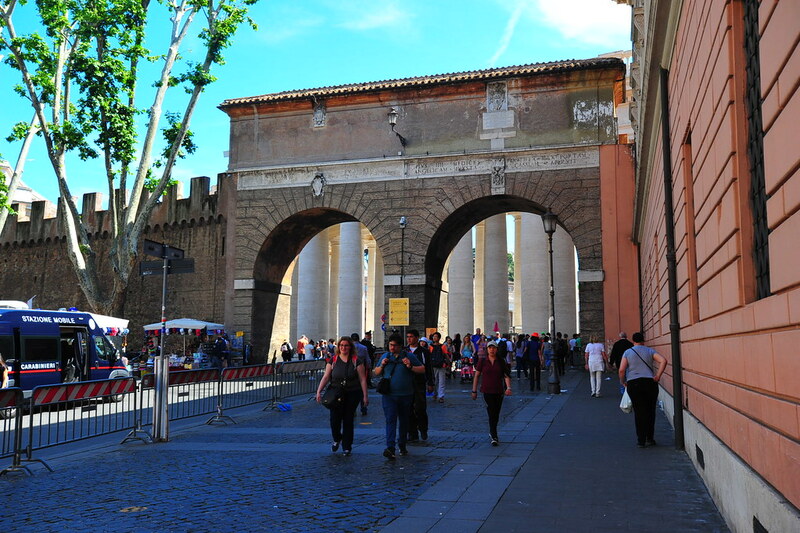 Once you pass through the open archways, you’re back in Vatican City. 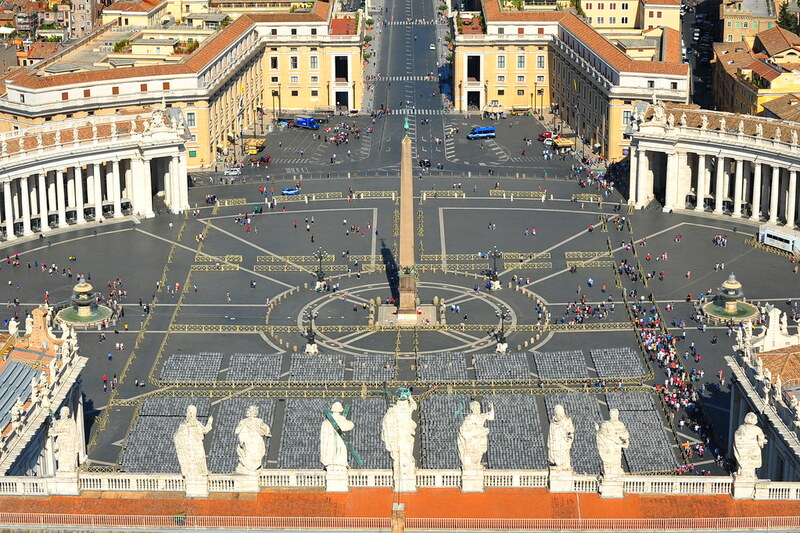 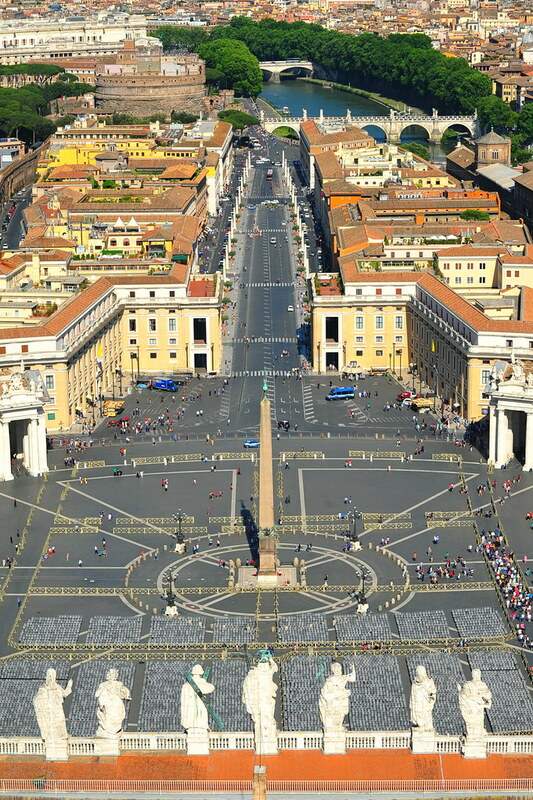 Meander around this gorgeous plaza that’s (no surprise) also designed by Bernini. 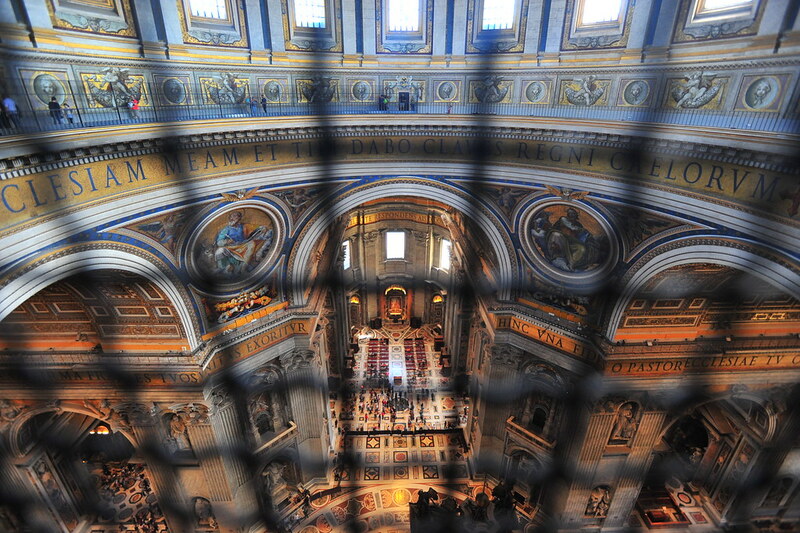 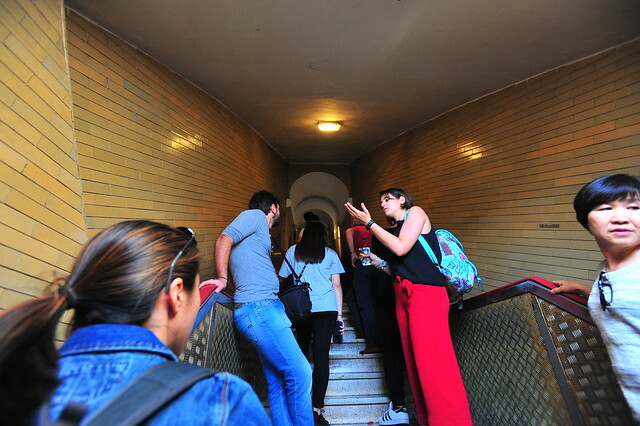 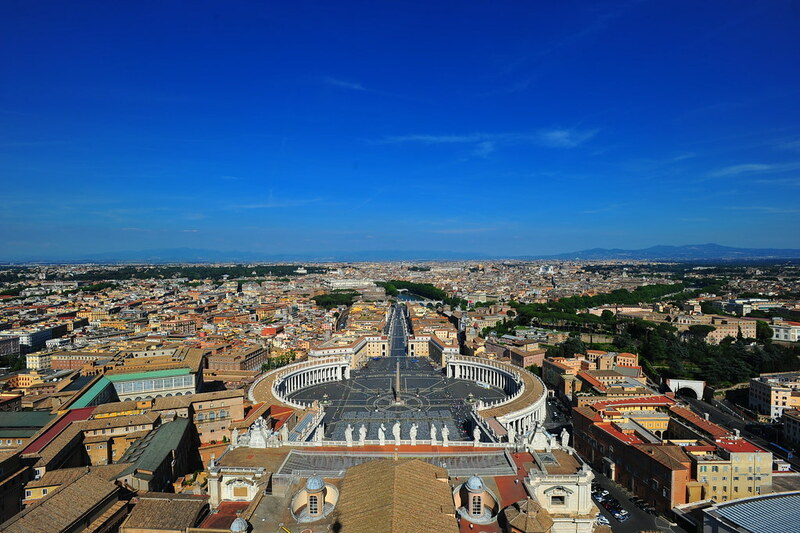 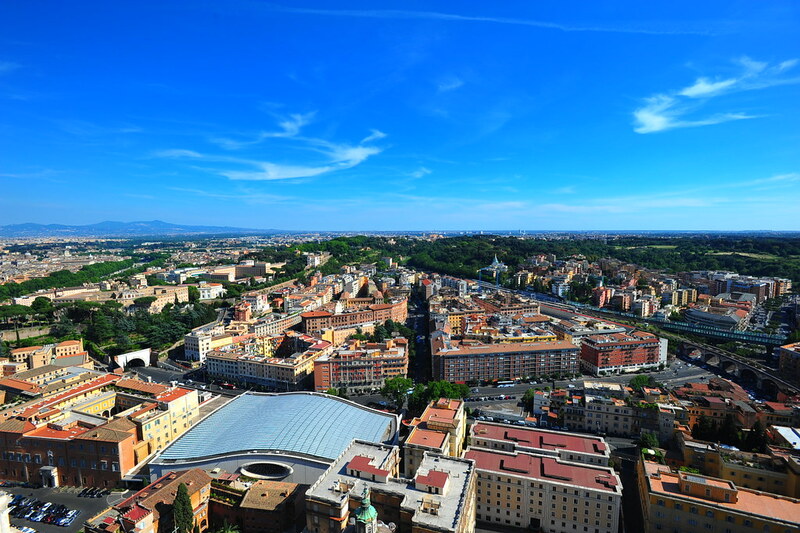 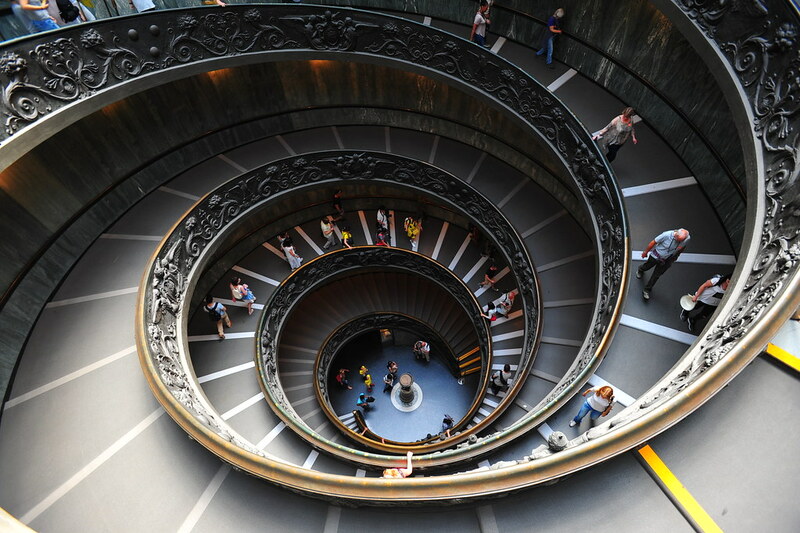 Eventually, you’ll go through another round of security checks and then are given the option either to roam for free around the ground levels of the Basilica, or pay 6 euros to climb to the top of its Dome to get views over Vatican City and the rest of Rome. 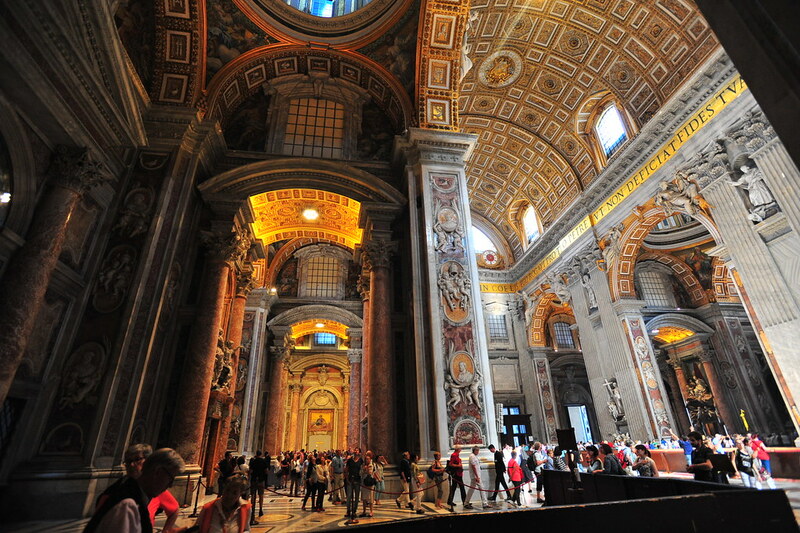 Then head back downstairs to explore the interior of the actual basilica itself, which is so large you can fit the Statue of Liberty inside here, sideways or standing up, and still have enough room left over. 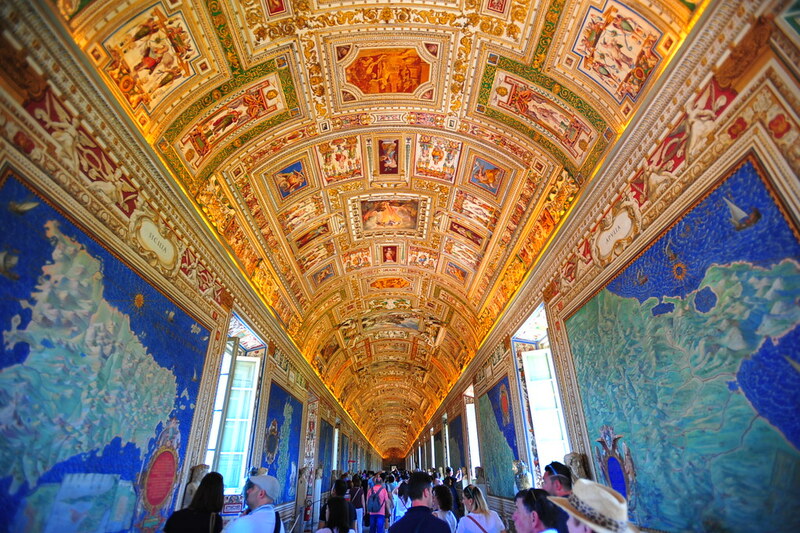 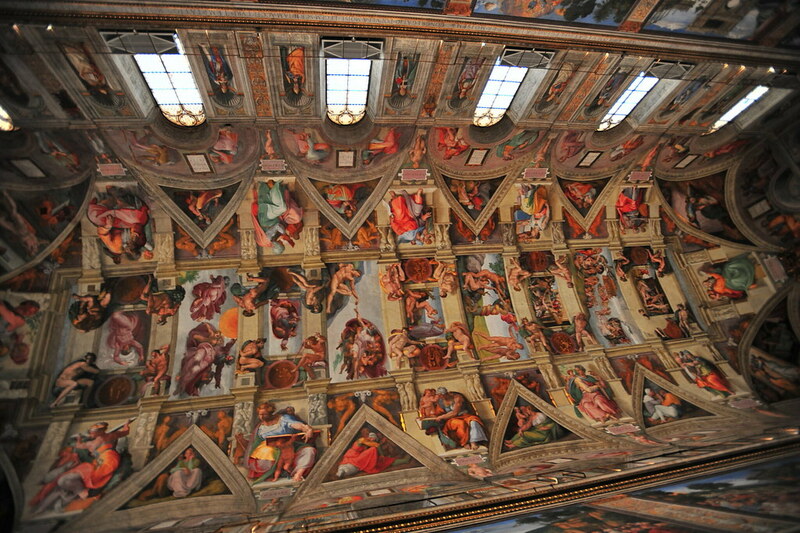 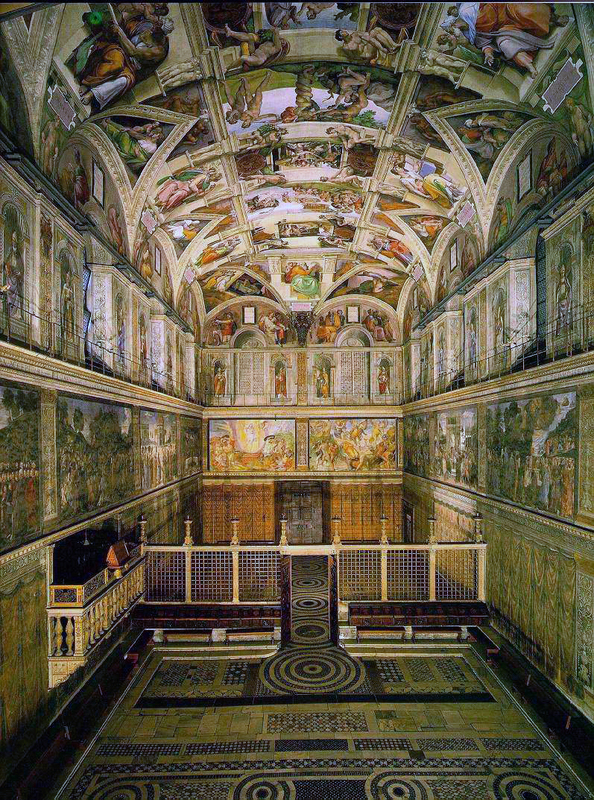 Afterwards, head back out east to exit Vatican City. 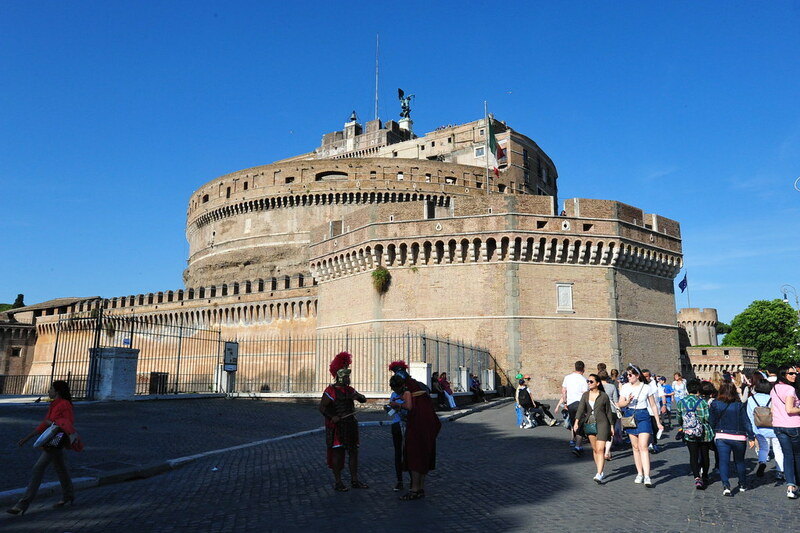 If you keep along Via dei Corridori, you’ll reach Castel Sant’Angelo aka the Mausoleum of Hadrian. 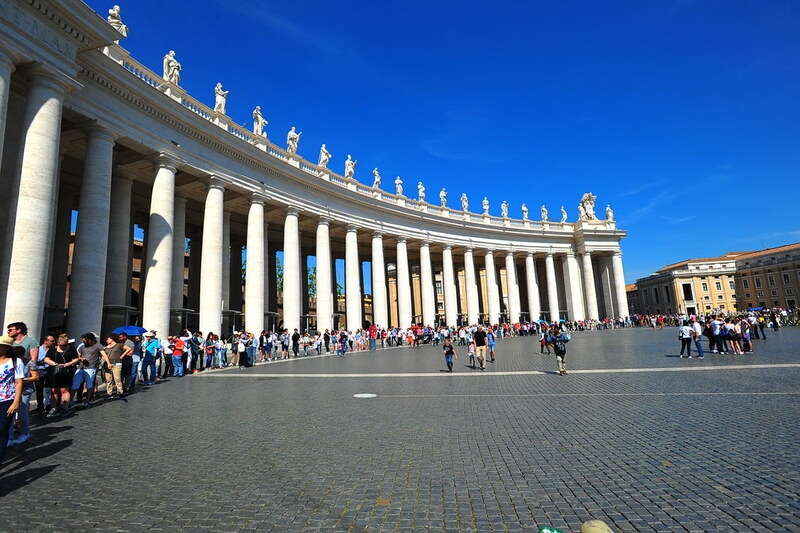 Although this structure isn’t technically a part of the Vatican City, it became the Pope’s chosen refuge to which he could escape via an underground tunnel if the Holy See were ever to be under siege (as it was during the Sack of Rome in 1523). 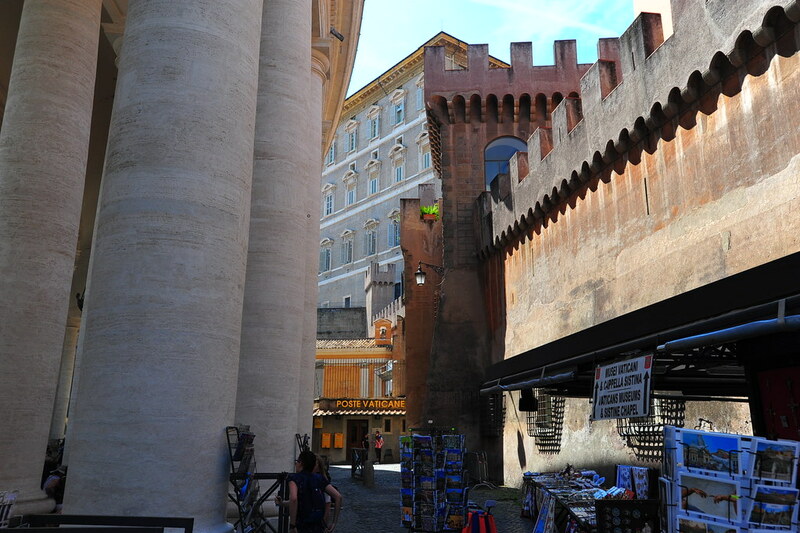 Its ramparts are also where the eponymous heroine of Puccini’s Tosca (spoiler alert)…leaps to her death. 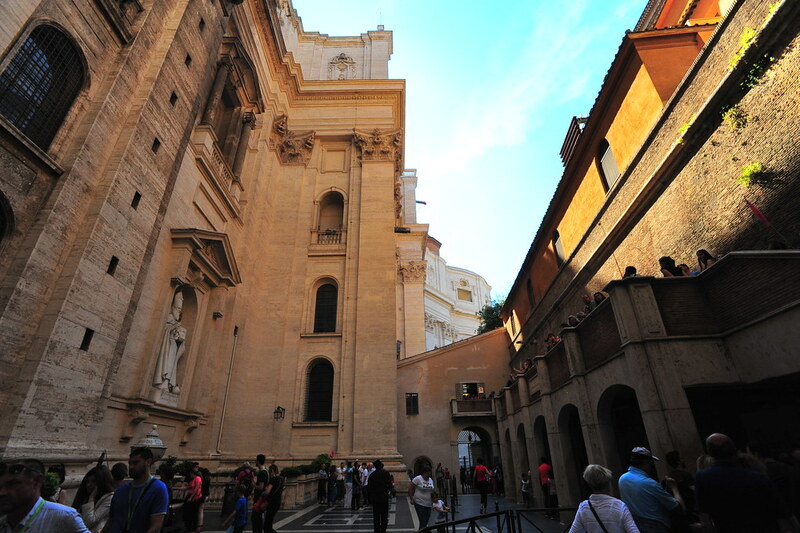 Tomorrow: Italy’s other lesser-known microstate — San Marino!